Green Rescue Organics or GRO is an agricultural enterprise that works with farmers to help them develop their skills in and knowledge of organic farming, and to provide the community with a sustainable source of livelihood. Green Rescue Organic Association Inc. was spearheaded by Dr. Estela Taño back 2007. Dr. Taño is the chief of staff of the Quezon Agriculture Experiment Station (QAES); she is also a researcher, farmer, and community development worker. GRO has been featured several times in various magazine and newspaper articles, and covered in several feature shows. 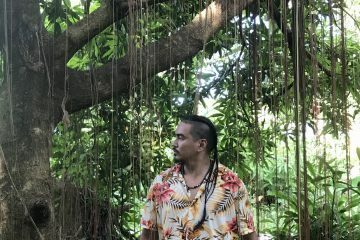 The enterprise is known for their health and wellness products made from organically raised produce and products made from oregano and other herbs. Arcely ‘Cely’ Lagardo, 42, is one of the women GRO has helped. 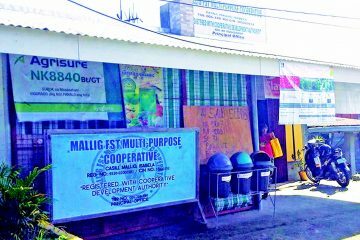 Lagardo used to be a housemaid in Manila while her husband was an on-call construction worker. Their combined salary was insufficient to meet their family’s daily needs. What made things more difficult for Lagardo was that she was far from her growing children. So when she heard about the opportunities made available by GRO, she decided to join the group. At first, she wasn’t knowledgeable about farming and laboratory processing procedures. It was a very new world to her but she was willing to learn. 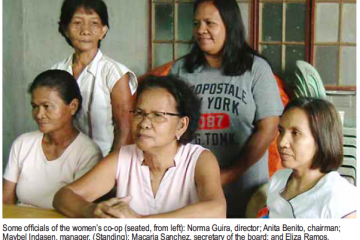 Lagardo, along with other women, underwent training with Dr. Taño. Now, Lagardo has a well-rounded knowledge of different farming practices and is also able to process raw materials in the laboratory. She does the groundwork in maintaining the vegetable and herb garden; she also propagates the bromeliads and assists during exhibits. Lagardo shows the cut oregano soaps. Her story shows that science can help everyone who aspires to progress in their lives. 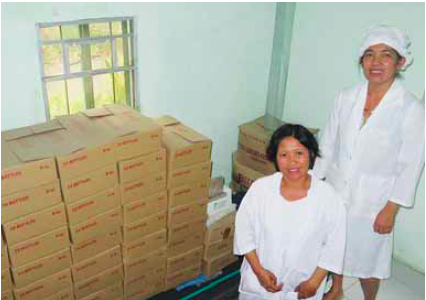 Currently, the processing of GRO’s raw materials is done in their laboratory in Brgy. Tagbakin, Tiaong, Quezon. 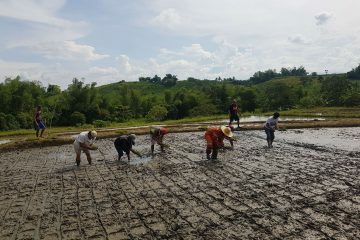 A demo farm is also located there, and this serves as an agri-tourism site. 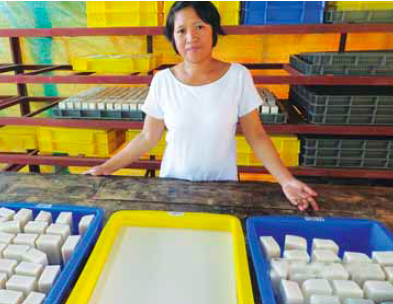 Their raw materials are sourced from their production sites at Dolores and Candelaria, Quezon. Aside from oregano products, GRO’s best selling products include the A-gugo shampoo bar and avocado, calamansi, green mango, guava, and VCO soap. They also process native ginger and turmeric into tea and healing creams. With their boxes of orders. The group’s product development team aims to give their products longer shelf lives and to add value to the commodities. The project is funded by the Department of Trade and Industry and the Department of Agriculture’s Bureau of Agricultural Research. 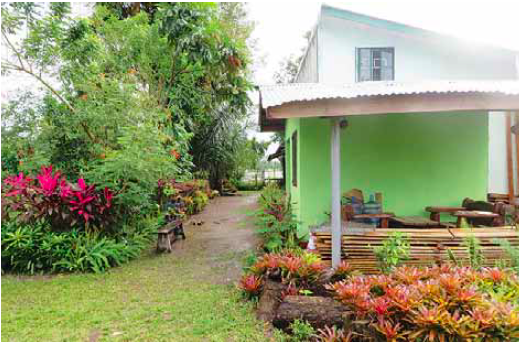 GRO laboratory and demo farm in Brgy. Tagbakin, Tiaong, Quezon. 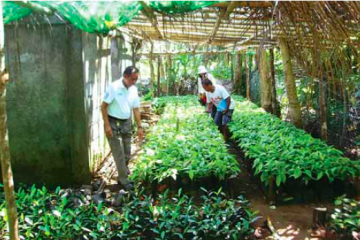 “The goal of GRO is not primarily focused on…money-making…(GRO) is concerned (with) empowering rural workers and boosting their morale (so that they can see how) organic agriculture can…bring (about) economic advancement in their lives.” Dr. Taño said in an interview. 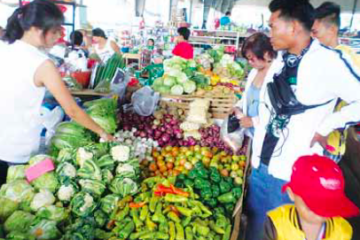 GRO’s products are available at exhibits and agri-tourism fairs, and are being distributed to numerous retail and pasalubong (souvenir) shops. “It is a fact that most of us Filipinos patronize foreign products; hence, we want Filipinos to be supportive and proud of Filipino-made products.” Dr. Taño added. 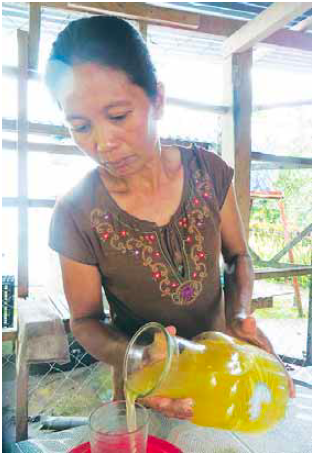 Indeed, golden are the beans picked from the hills of Masalukot because they help not only the rural workers, but also their communities, to grow economically.